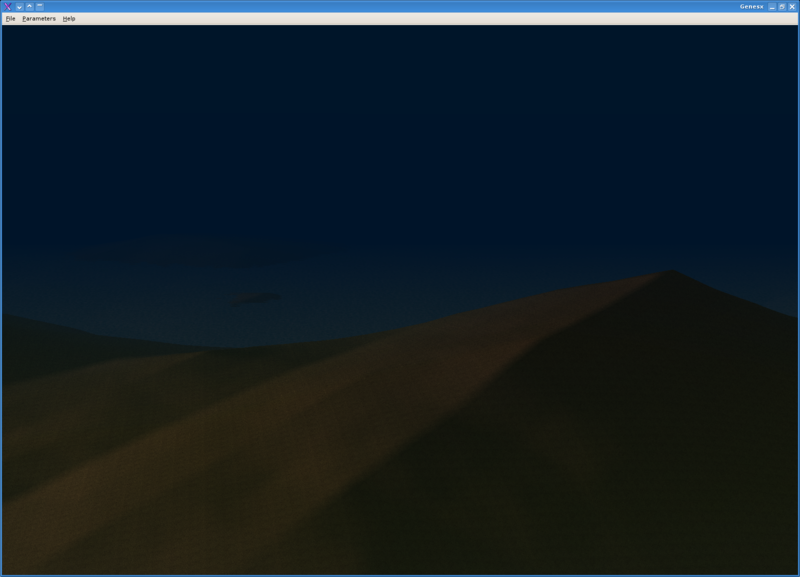 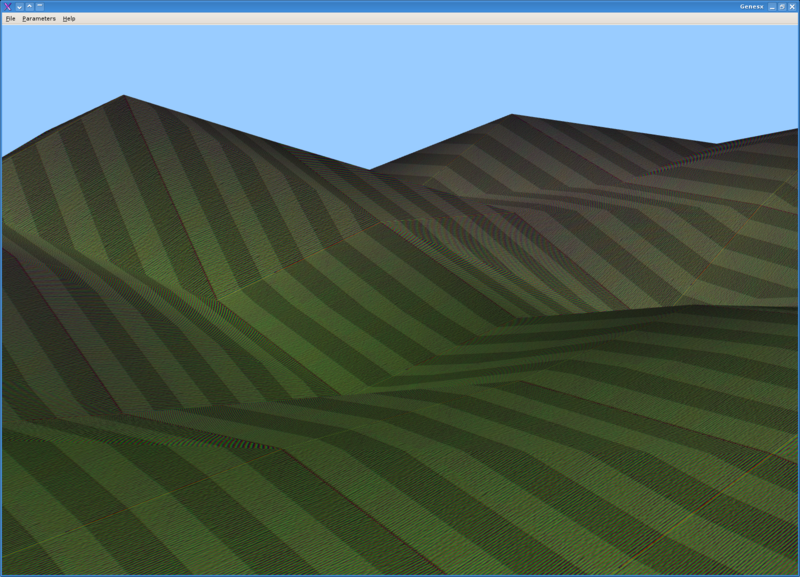 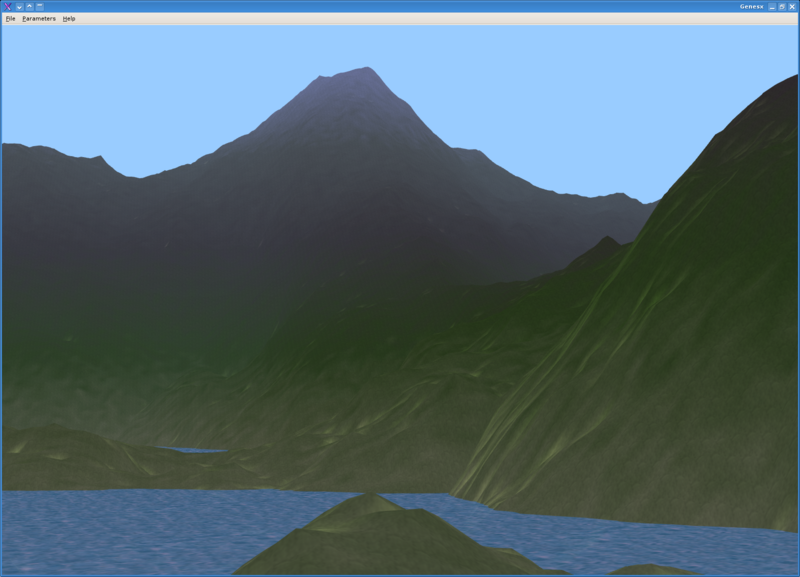 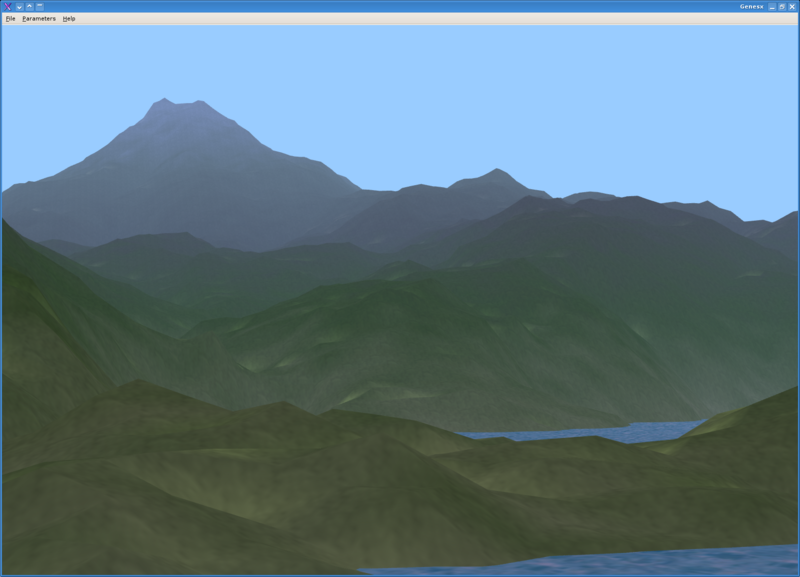 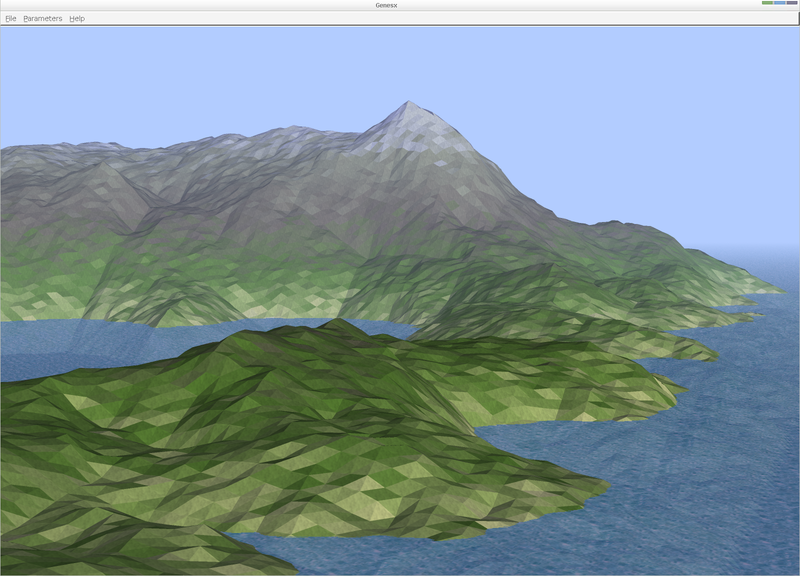 Genesx is a 3D landscape generator written in C with Gtk and OpenGL that I developed during my fourth year at the university. 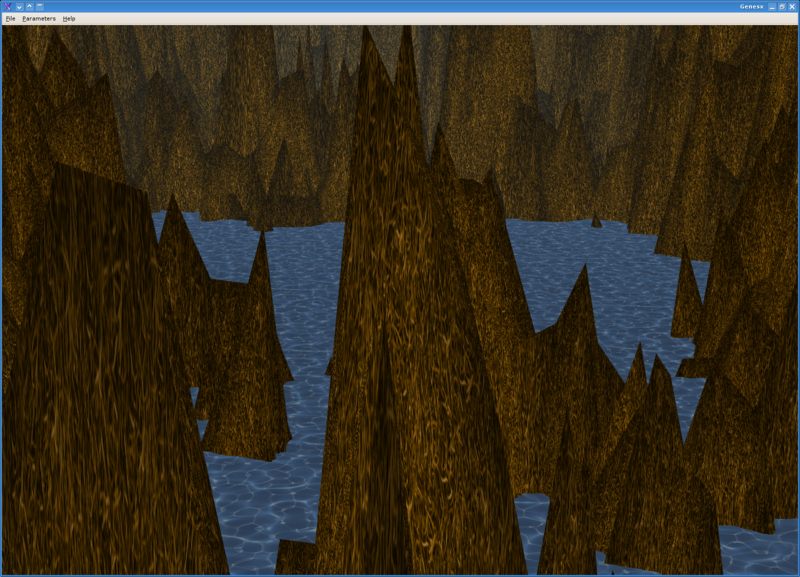 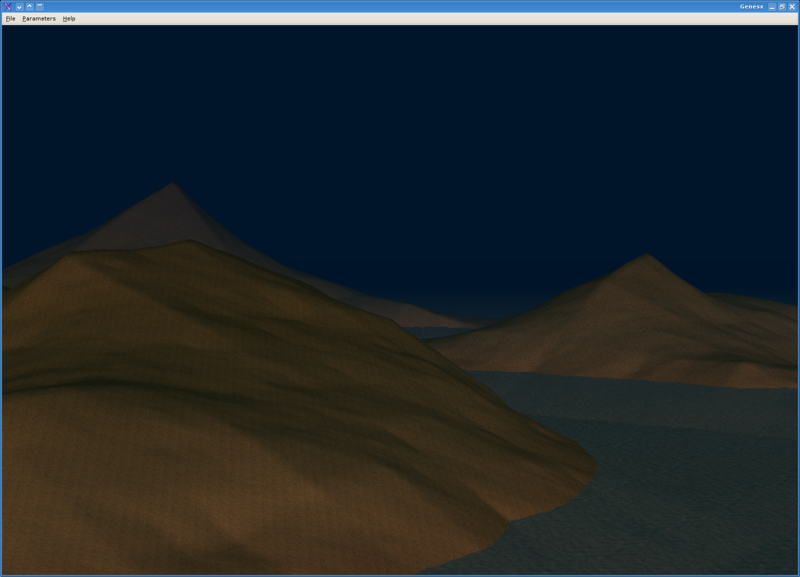 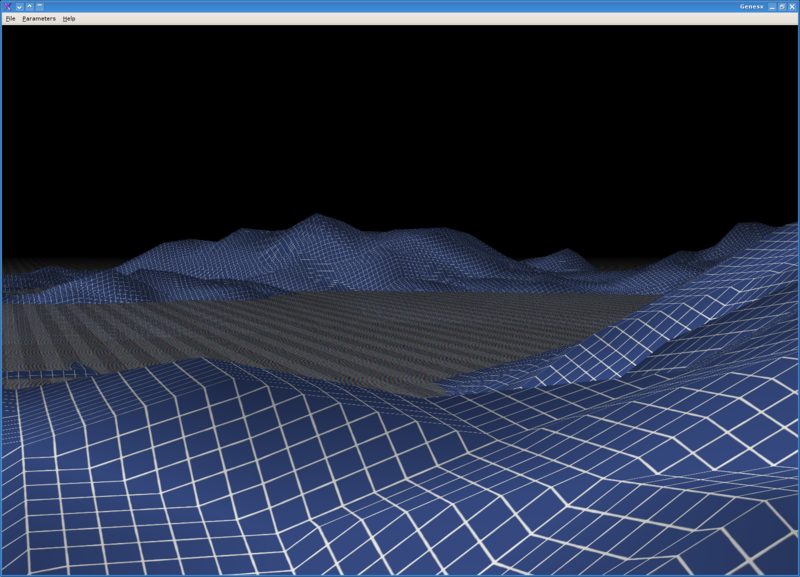 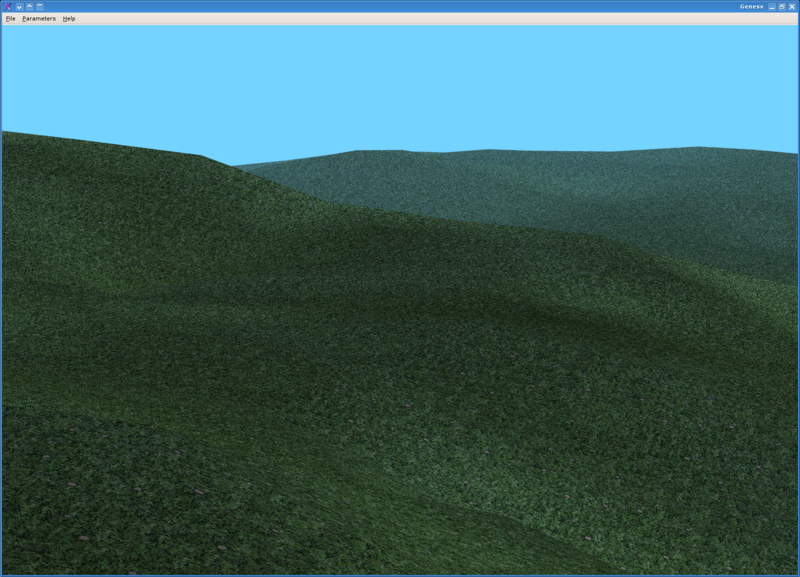 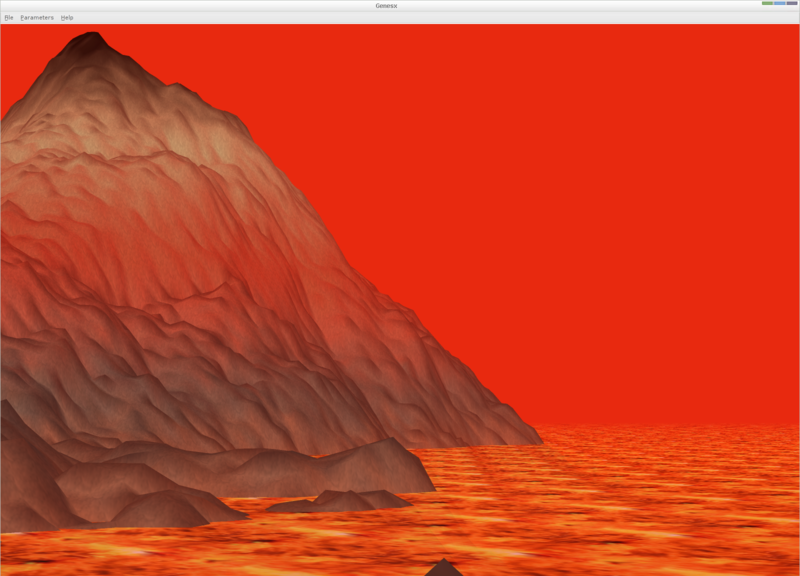 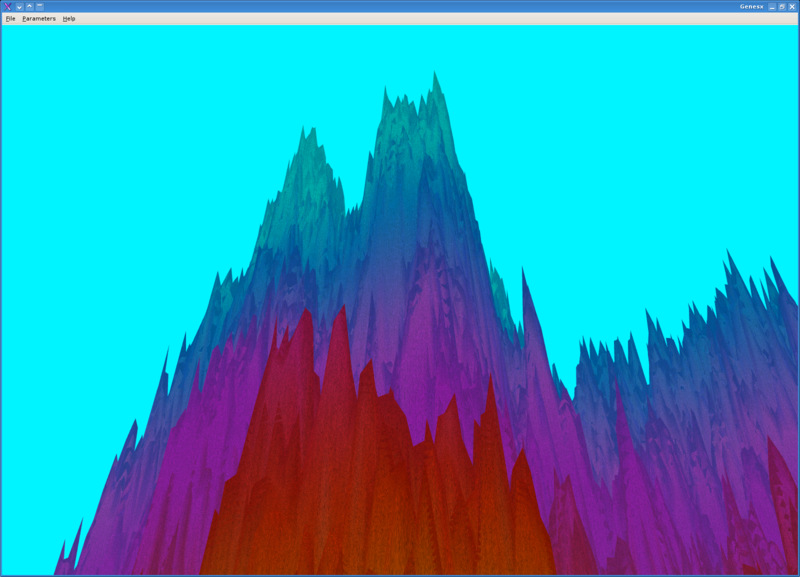 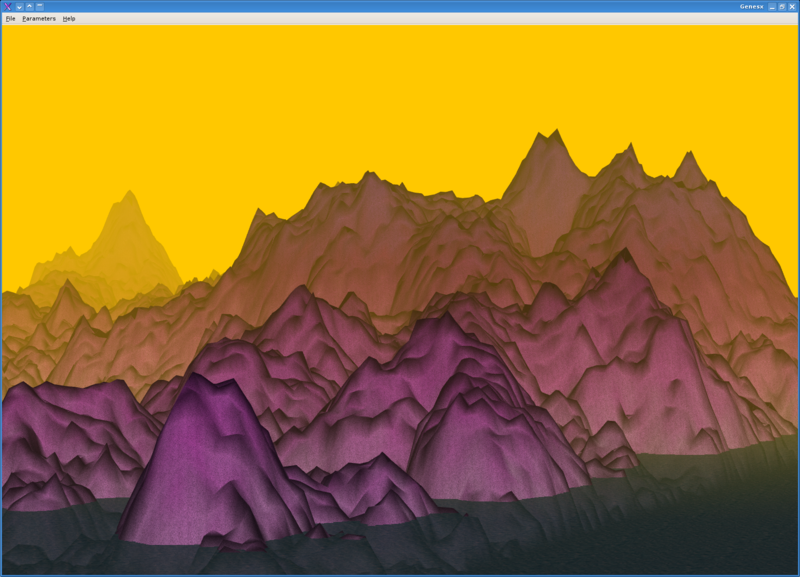 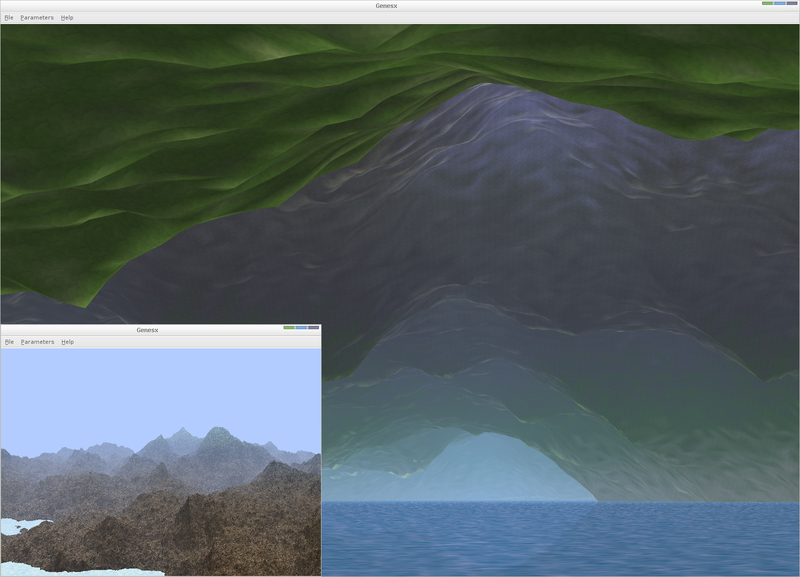 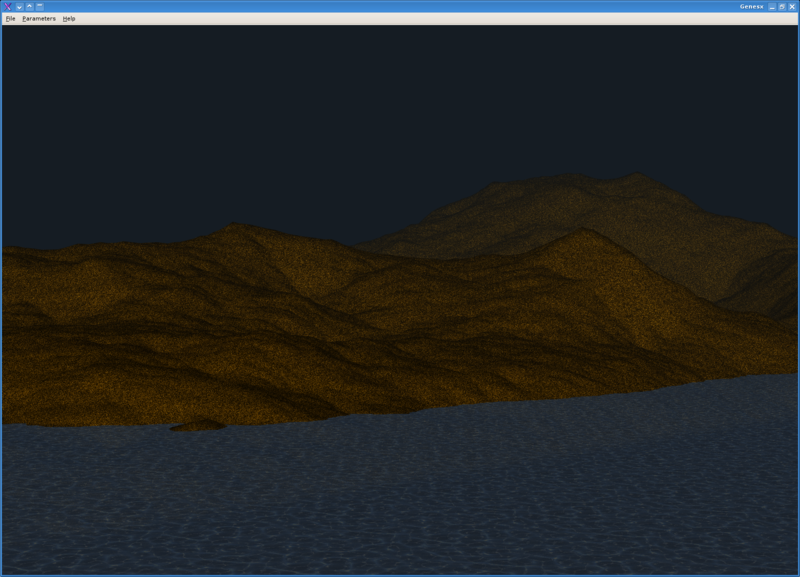 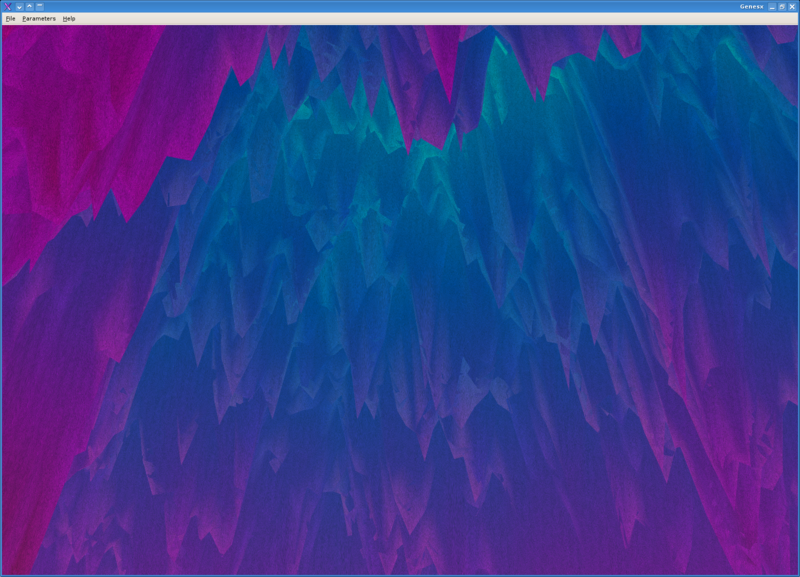 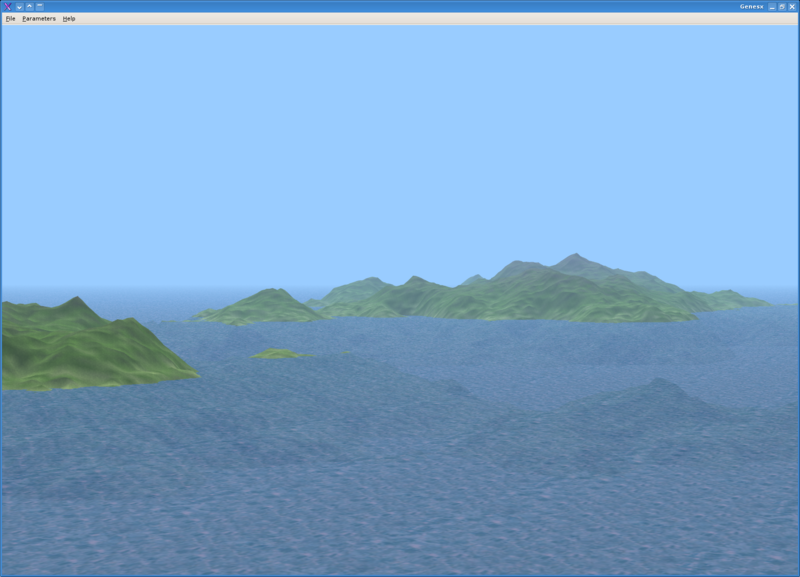 It uses a fractal algorithm to generate random landscapes based on many parameters specified by the user. 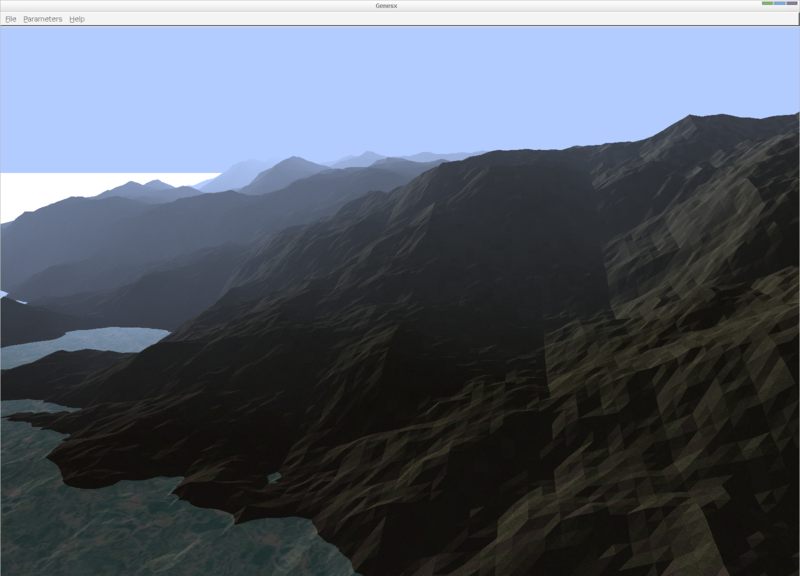 Genesx also allows the user to move freely through the generated 3D worlds and to store them in the VRML format. 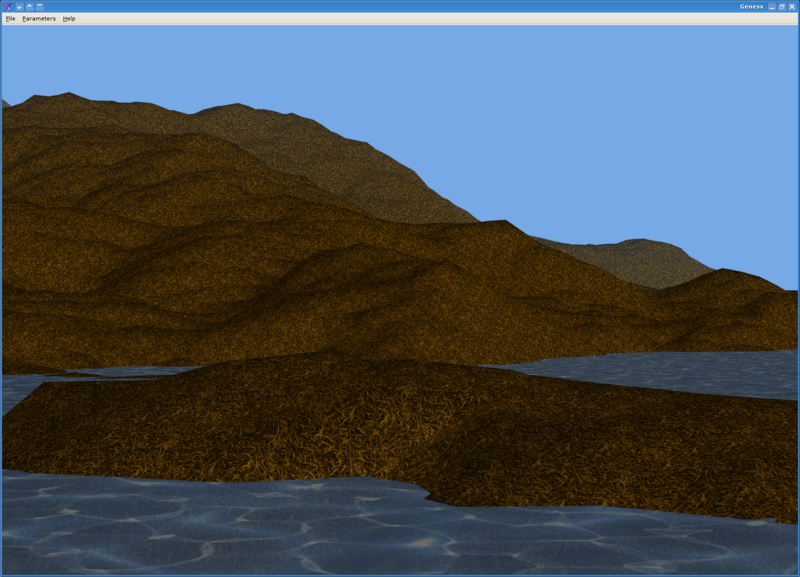 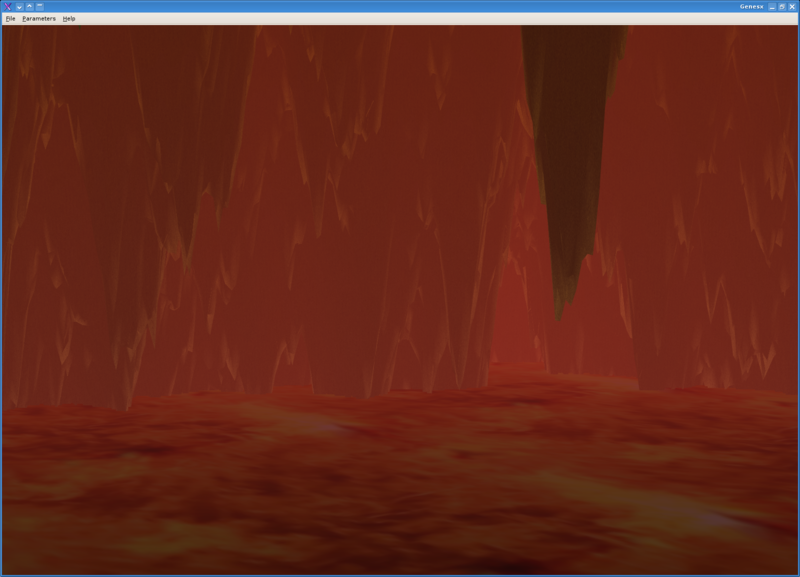 Below are a few screenshots showing what can be done with this program. 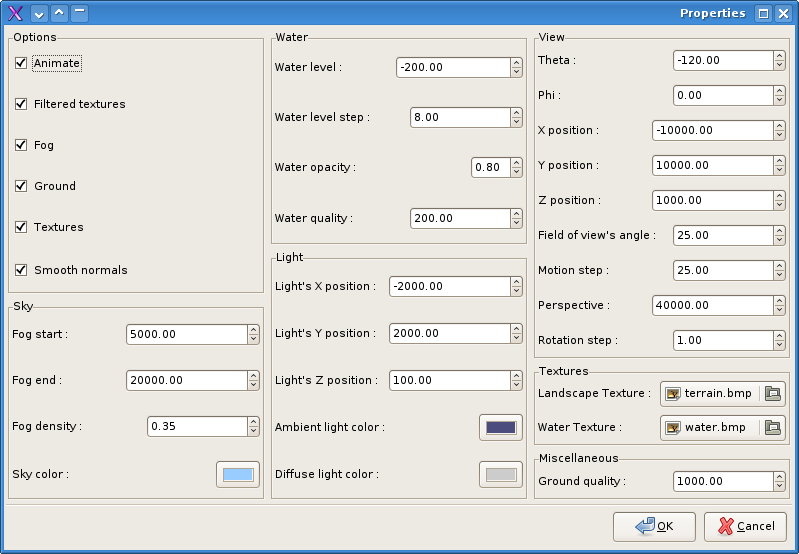 To run this application, you will need a working Gtk environment and GtkGLExt. 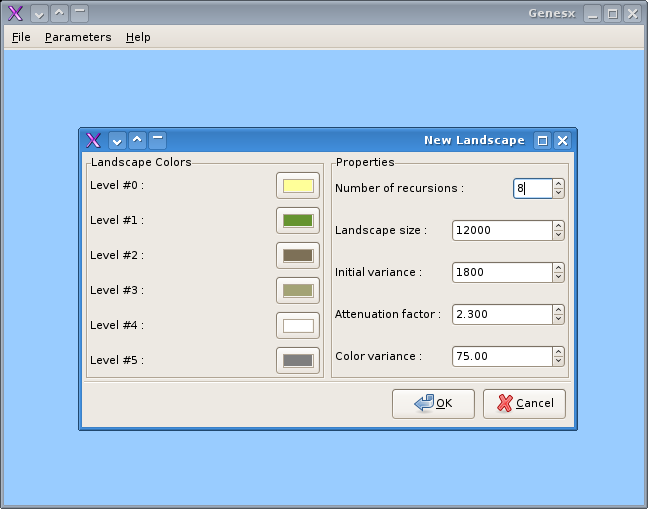 Genesx 0.1 (source) can be downloaded here.